Venus Transit 2004 - The first of two transits of Venus that occured in the 21st century happened in 2004. 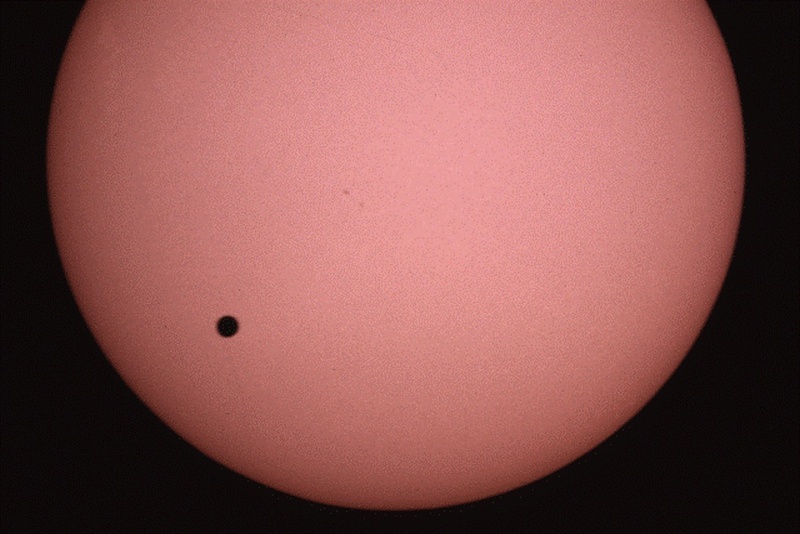 A transit occurs when Venus lines up with the Earth and the Sun, thus appearing in front of the Sun's much larger disc. Because of the way Venus and Earth orbit the Sun, transits occur in pairs separated by a few years, about every century. The most recent pair of transits occured in 2004 and 2012. We won't see another one until 2117!